One of my self assigned jobs this summer was to clear out my Blogger draft file. I found this unpublished post at the bottom of the list. Better late than never I suppose? Part 1 of this topic is here. Start by laying the target garment flat, smooth out any wrinkles working from the center out. Check to see if the side seams are at the edges or have they rolled under to the back? If they have, it means the front of the garment is larger than the back. You may wish to duplicate this or you can make the front and the back the same which is the common method in knitwear. If you make the front larger you will need to check carefully to make sure that all edges which will be joined (shoulders and side seams usually) match. The front shoulders will need to be made narrower. The way to do this is by working extra decreases at the neckline until you have the same number of stitches on the back. Using graph paper mark off the horizontal width as measured off of the garment. Mark the vertical length at center back. If you are making the front and back the same size they can be shown layered on top of one another. Pay attention to where you put pins to indicate more accurate edges and hem finishes. 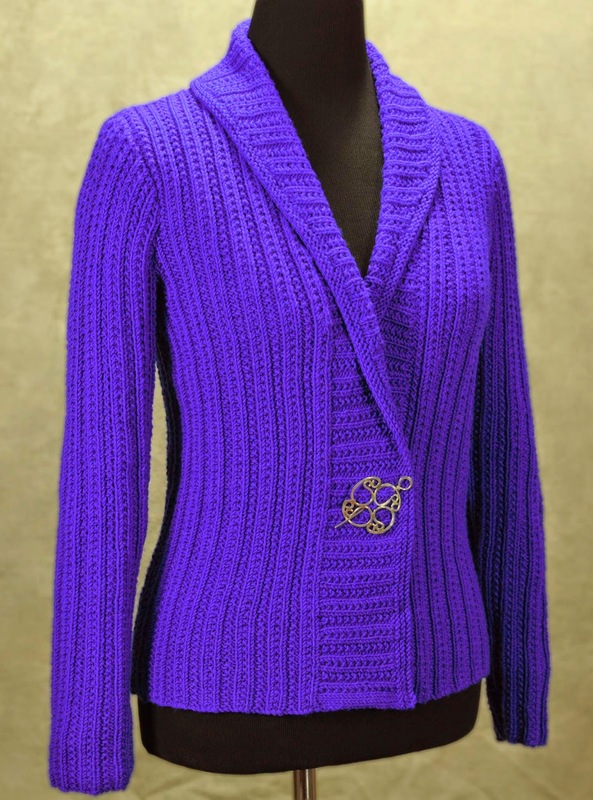 Don't include the neckband if you will be knitting it as a separate piece. Watch out for any stretching of the original garment. It may not lay flat if there has been any strain. An example would be at the elbows or the neckband. Pull the sleeve up and out to the side when you measure the armhole depth, there is a corner there which needs to be laid flat to be measured accurately. Or, use my tank trick here. Remember the rules of ease, the thicker or stiffer your knitted fabric is as compared to the original garment, the more ease required for comfort. Use a flexible ruler to duplicate curves. If you need more info on the drafting process I have a series which is part of a Design- A- Long which should help.